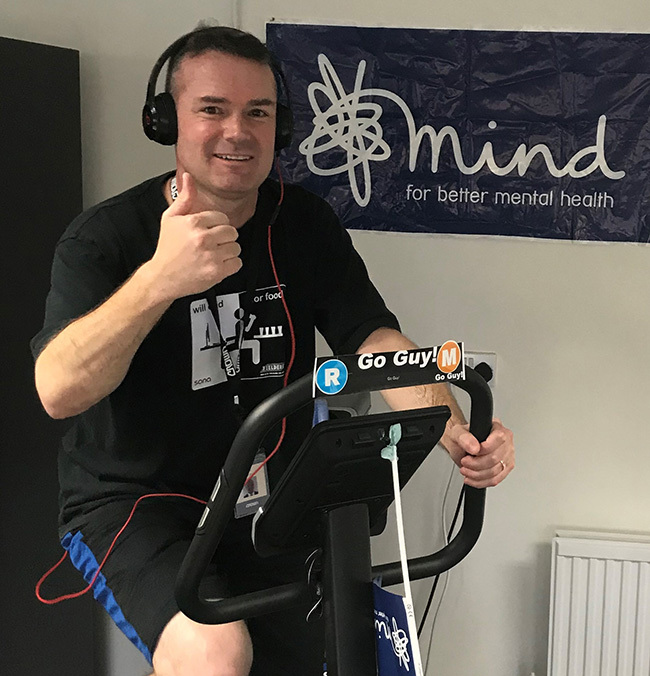 The UK staff of Crown, one of the world’s largest material handling companies, have carried out a variety of initiatives during 2018 aimed at raising funds for mental health charity Mind. The activities, which include sponsored walks, a car wash and a cake sale, raised a total of £7,135 for its nominated 2018 Charity of the Year. 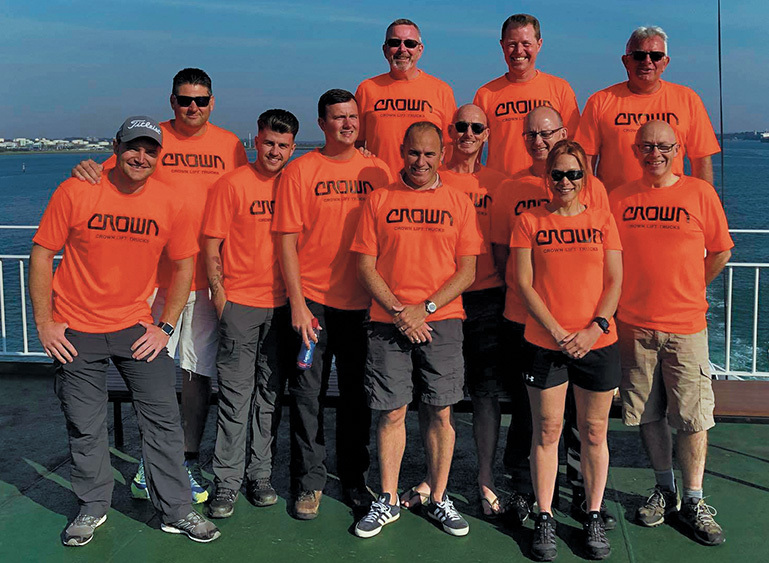 By far the most lucrative event was a 62-mile walk around the Isle of Wight, that saw 15 Crown colleagues – including Crown UK’s managing director Simon Barkworth – set out on a gruelling trek that took place on a hot weekend in July. Starting and finishing in Newport, the intrepid hikers walked day and night to complete the challenge in just over 22 hours. More than £5,000 was raised by this event alone, a tremendous reward for the bruised, blistered, scratched and exhausted participants. Other initiatives taking place during 2018 included a World Cup sweepstake, a static London to Brighton cycle race, quizzes and raffles held across Crown’s UK network of depots and offices. Throughout the year, Crown also helped raise awareness amongst its workforce of mental health issues and the role Mind can play through support and information. Crown’s chosen Charity of the Year for 2019 is Zoe’s place, based in Coventry, Liverpool and Middlesbrough, which provides palliative, respite and end of life care to babies and children under 5 with life limiting or life threatening conditions. Mind, the mental health charity provide advice and support to empower anyone experiencing a mental health problem. They campaign to improve services, raise awareness and promote understanding and won’t give up until everyone experiencing a mental health problem gets both support and respect – mind.org.uk. Please note that Mind is not an acronym and should be set in title case. Please contact the Mind Media Team for interviews or further information on 02085221743. For out of hours support please call 07850788514 or email the media team on media@mind.org.uk. Crown is one of the world’s largest material handling companies with a reputation for award-winning product design, advanced engineering and technology supported by superior after-sales service. Crown’s business philosophy utilises vertically integrated processes to design, manufacture and distribute forward-thinking innovative solutions that improve customers’ productivity and operating efficiency. Crown develops, produces and sells a broad range of forklifts, as well as automation and fleet management technologies. The company’s global headquarters is located in New Bremen, Ohio, USA, with regional headquarters in Germany, Australia, China and Singapore. Its employees number more than 15,000 worldwide. Crown operates a service and distribution network that exceeds 500 retail locations in over 80 countries. To learn more about Crown’s ideas for helping customers advance the productivity of their operations, visit crown.com.